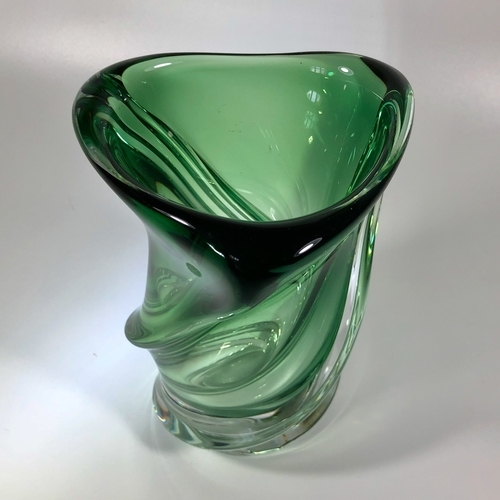 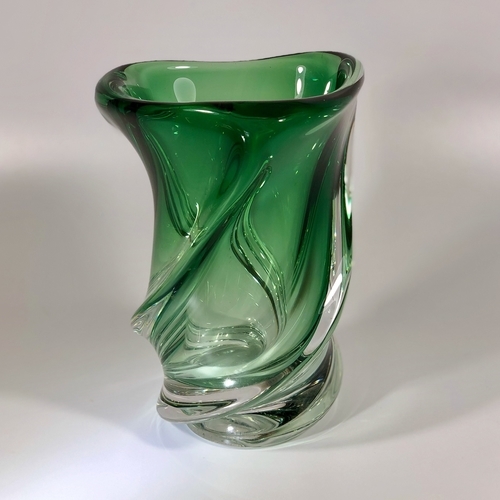 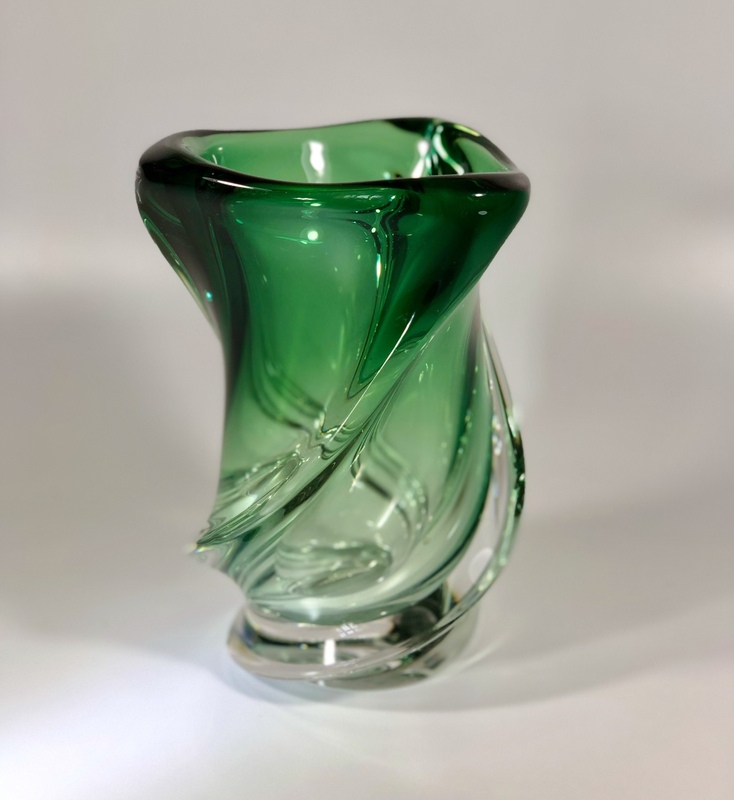 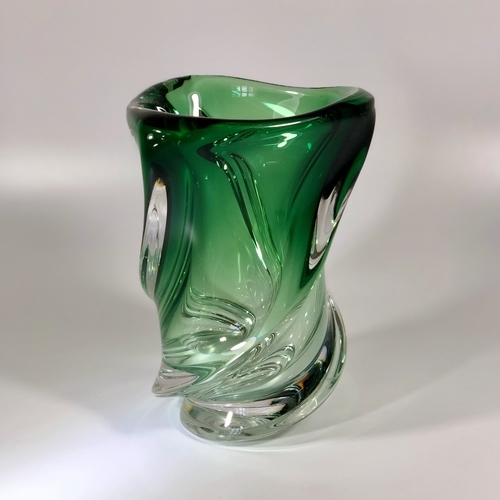 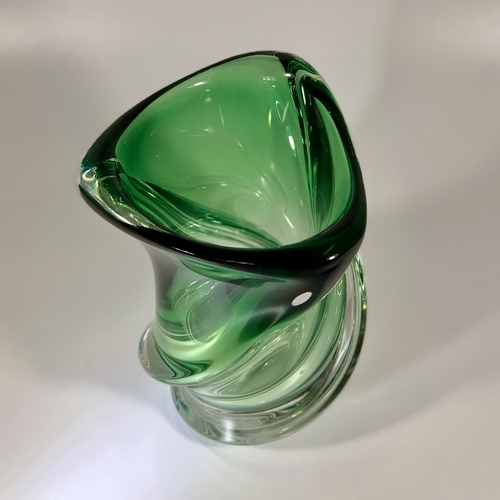 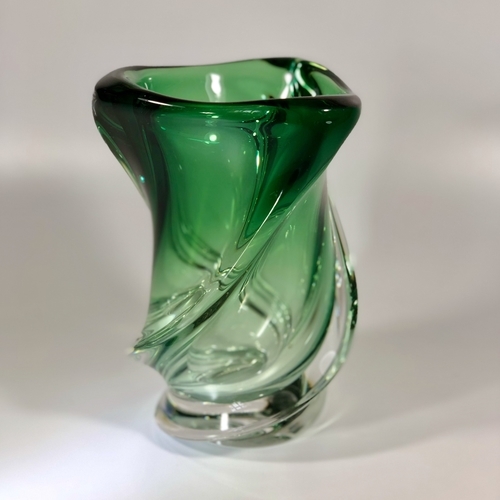 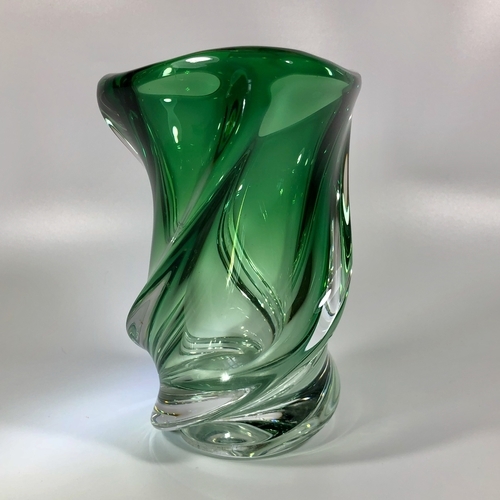 An impressive emerald green crystal vase by Guido Bon for Val Saint Lambert, Circa 1950s. 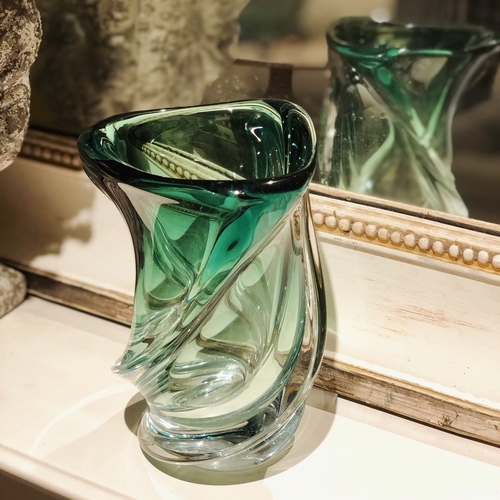 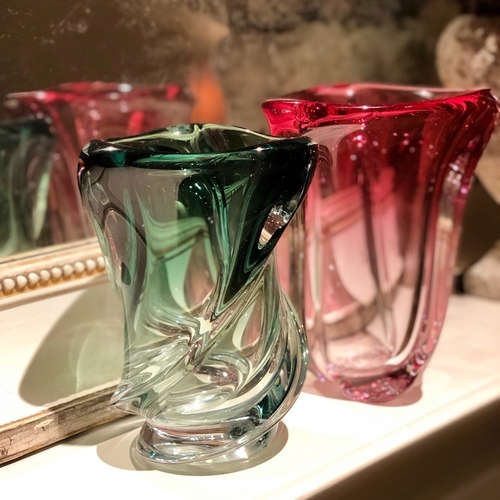 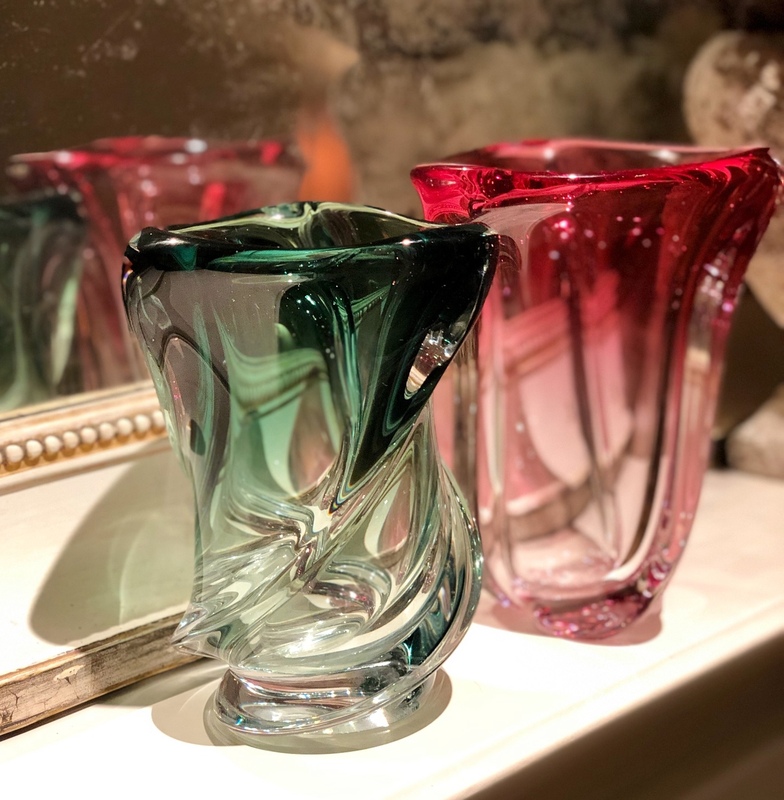 This mesmerising asymmetric vase shifts before your eyes so that it is different from every angle you look. A true statement piece.